IDW Publishing has released its solicitations for November. For covers and five- to eight-page previews of Marvel Comics titles in stores on August 26, CLICK HERE. Titles include Anita Blake: the Laughing Corpse -- Necromancer #4, Avengers: The Initiative #27, Beta Ray Bill: Godhunter #3, Dark Avengers #8, Dark Reign: Elektra #5, Dark Reign: The Sinister Spider-Man #3, Dark Wolverine #77, Dark X-Men: The Beginning #3, Deadpool #14, Fantastic Four #570, Halo: Helljumper #2, Incredible Hercules #133, Hulk #14, Incredible Hulk #601, Marvel Adventures Spider-Man #54, Ms. Marvel #44, New Avengers #56, New Mutants #4, Nova #28, Runaways #13, Secret Warriors #7, Skrull Kill Krew #4, Son of Hulk #14, Timestorm 2009/2099 #4, X-Force #18 and X-Men Forever #6. 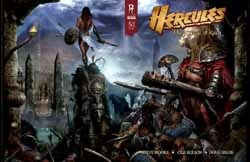 For previews Top Cow Productions titles arriving in stores on August 26, CLICK HERE. 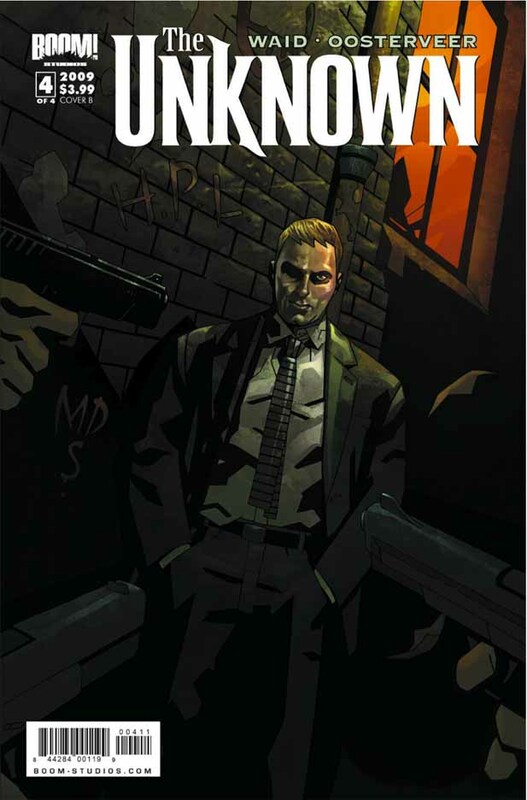 For previews Moonstone Books titles arriving in stores on August 26, CLICK HERE. For covers and six-page previews of BOOM! Studios titles in stores on August 26, CLICK HERE. 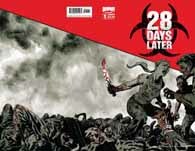 Titles include 28 Days Later #1, The Incredibles #0, The Muppet Show: The Treasure of Peg-Leg Wilson #2, The Unknown #4, Jennifer's Body HC, The Muppet Show TPB and Toy Story: The Mysterious Stranger TPB. WOLVERINE AND THE X-MEN: "CODE OF CONDUCT"
Nicktoons has released a description and four images from "Code of Conduct," the episode of Wolverine and the X-Men that debuts on the network on Friday at 8 p.m. (ET/PT). "More of Logan's past catches up to him when the X-Men are abducted by mysterious ninjas, and held prisoner until Logan agrees to engage the Silver Samurai in a fight to the death. "Logan had fought him once before for the hand of a young woman named Mariko. 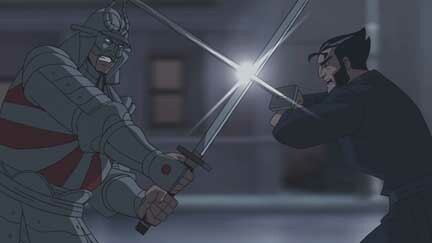 Though Logan had won, Mariko chose the Silver Samurai. Now that the Silver Samurai is vying for leadership in the Yakuza, he must wipe his past clean of all failure and that means finally defeating Logan." The episode, the 17th of Season 1, was written by Bob Forward and directed by Boy d Kirkland. Keone Young provides the voice of Silver Samurai. IRON MAN: ARMORED ADVENTURES: "MAN AND IRON MAN"
Nicktoons has released a description and image from "Man and Iron Man," the episode of Iron Man: Armored Adventures that debuts on the network on Friday at 7 p.m. (ET/PT). "Mister Fix is back, and this time he's equipped Whiplash with a virus designed to destroy Iron Man's armor from the inside out. Iron Man survives the attack, but something's gone wrong. Fix's virus has caused the armor to become sentient. It's alive, thinking for itself, and it intends to carry out it�s primary objective... to protect Tony Stark from any and all danger, even if it means making Tony a prisoner inside the armor for the rest of his life."